Dueñas’s movie, inspired by the poems of Jose Carlos Becerra, follows six characters who mutate into new bodies but retain traces of their previous lives. The music created by Fernando Corona matches the atmospheric moods of the film and the intentionally slow pace adopted by Dueñas. Working with sampled string instruments and piano, which are arranged into layers upon layers of dense and often murky sonic magma, some processed into grainy structures or looped into pulsating sequences, others stripped down, with only their most textured characteristics left, Corona creates here a series of particularly intense introspective vignettes, most of them lasting barely long enough to even begin to truly blossom, which at times appear to merge into one long narrative, so consistent are his soundscapes and approach. This is perhaps emphasised further by the tracks often working in sequences of two to five sections, which are often built around a central theme, whether it is a particular motif embedded within others (Hugo I-II), environmental noises (Eugenio I-IV, Soriano I-III) or an atmospheric setting (Paloma I-V, Isaías I-IV), accentuating the hazy aspect of this soundtrack by blurring the boundaries between each track. It is very much this contemplative approach which is reminiscent of Remembranza. 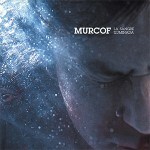 Indeed, like he did for that record, Murcof works from a relatively narrow sound pool, which he expands greatly by twisting some of them beyond recognition or extruding their textured features to build claustrophobic soundscapes. The intensity of the music and the continuous shift in the tunes created by the rapid succession of tracks contribute to this soundtrack feeling particularly haunting, but often, it is the simple friction of a bow on strings or the weight of a mallet which, as they appear at once part of the music and exquisite features, get under the skin. Throughout, Corona’s frugal use of beats is equally key to the fragile balance of the record, often appearing as a way to diffuse some of the tension acquired along the way. The album closes with Como Quisera Decirte, a song originally sung by seventies Chilian band Los Angels Negros upon which he puts his own stamp, retaining the vocals and feel, but retouching it to gently highlight the natural eeriness of the song. With this soundtrack, Murcof has drawn resources from the more subtle and delicate side of his personality to stick to Iván Dueñas’s eerie tale, but even at its most intimate and introspective, his music remains intensely cinematic and evocative. And, while those expecting a follow-up building on the stellar forms of Cosmos are undoubtedly in for a massive disappointment, La Sangre Iluminada is much more than an interim collection and shows Murcof has lost none of his flair.